The Catch JH14 chair by &tradition welcomes every user with a warm, cordial embrace. 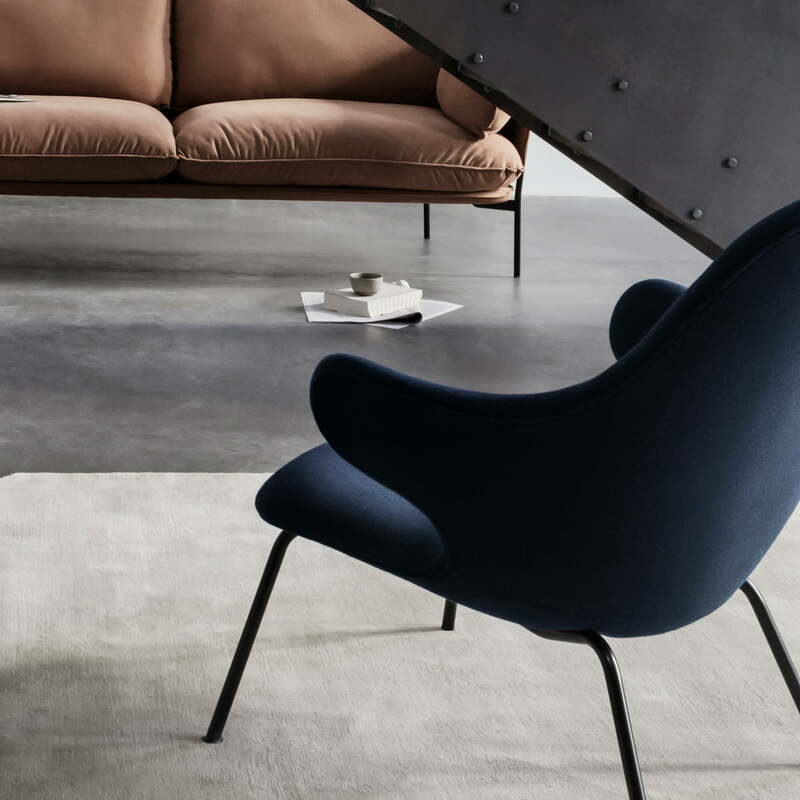 Designed by the Spanish designer Jaime Hayon, the lounge chair is characterised by a certain playfulness, which is particularly evident in the armrests of the chair. Almost personified, the upholstered armrests appear like actual limbs, gently enclosing you and providing you with a comfortable seat. "The more we work with Hayon, the more we appreciate his ability to add humanity and warmth to all his concepts. This goes hand in hand with our Danish idea of cosiness. Something we call hyggelig" , says & tradition Brand Director Martin Kornbek Hansen. Its generously designed seat shell is made of moulded PU foam and additionally upholstered with CMHR foam on the seat surface. Due to the high, slightly inclined backrest, the Catch JH14 Lounge Chair offers a pleasant level of comfort and invites you to relax. The well-formed seat shell is enthroned on a powder-coated steel frame that complements the otherwise rather soft appearance with an angular and cool component. In combination, a harmoniously designed piece of furniture is created in such a way that it can be integrated into any sofa corner or set stylish highlights on its own. 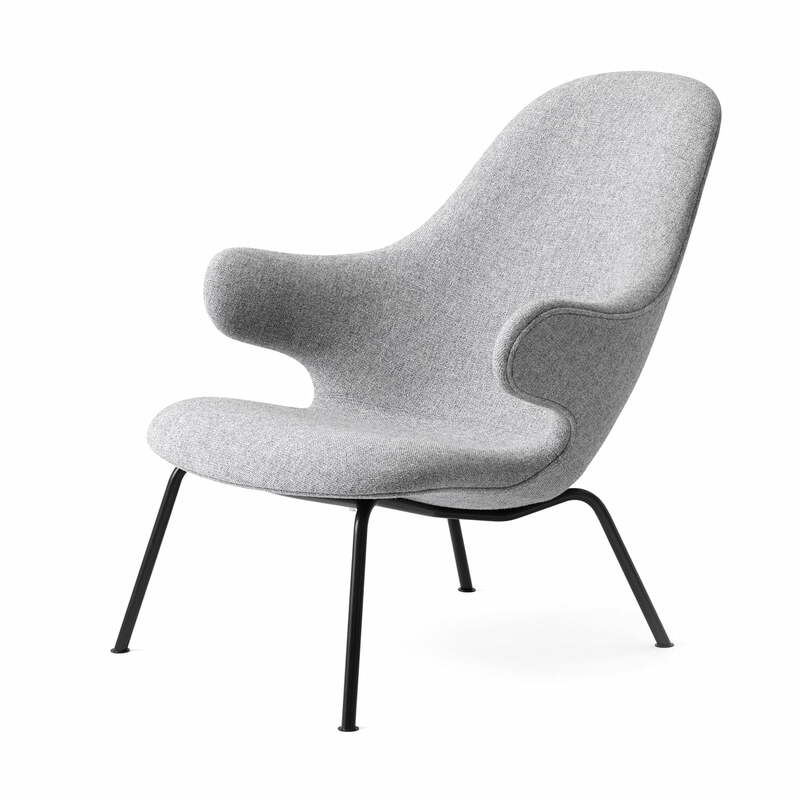 The Catch JH14 lounge chair by &tradition is available with different fabric covers. Isolated product image of the Catch JH14 chair by &Tradition. 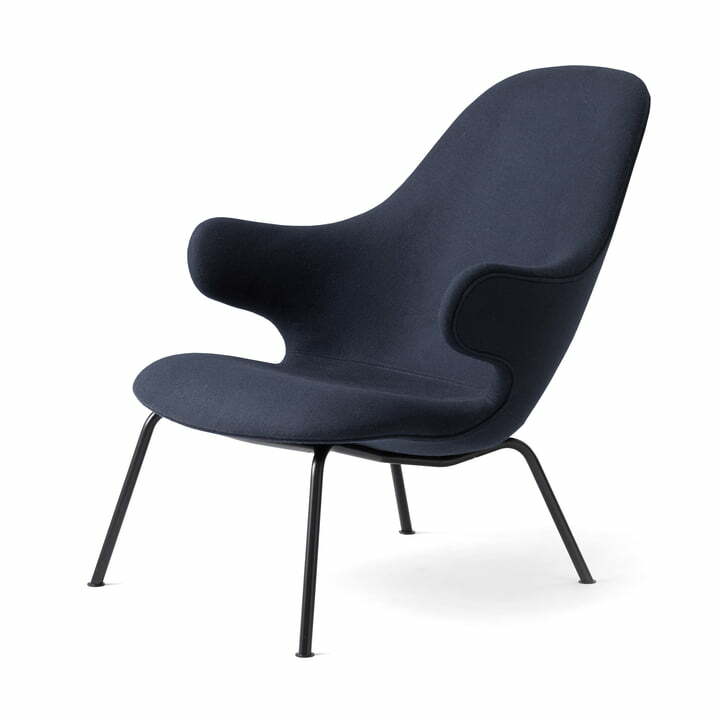 Designed by the Spanish designer Jaime Hayon, the lounge chair is characterised by a certain playfulness, which is particularly evident in the armrests of the chair. Lifestyle product image of the Catch JH14 by &tradition. Almost personified, the upholstered armrests appear like actual limbs, gently enclosing you and providing you with a comfortable seat.